The Coal Creek Watershed Coalition is going underground… literally. The organization says it plans to start studying groundwater to determine sources of contamination into Coal Creek, which flows from the Kebler Pass area through the town of Crested Butte and empties into the Slate River. With two years of testing the creek at various sites, Coal Creek Watershed Coalition executive director Anthony Poponi says the group was able to confirm two facts it already knew—one, water in Coal Creek is safe to drink for humans; and two, high levels of cadmium and zinc are present in the water. The levels aren’t high enough to pose a threat to human health but prevent sensitive species of aquatic life, like rainbow and cutthroat trout, from taking up residence in the creek. Poponi says the group has identified several sources of contaminants, including the Standard Mine, which is undergoing federal cleanup by the Environmental Protection Agency, and the iron fen, a naturally occurring area that leaches minerals. But those areas may not explain all the metals in the creek, he says. Poponi hopes his group will find the answers underground. Glazer says the district will pay particular attention to water flowing into Coal Creek from the Keystone Mine site, now called the Lucky Jack project by its owner, Wyoming-based U.S. Energy Corp. The company is seeking to build a molybdenum mine on Mt. Emmons, which the site accesses. According to Glazer, hydrologists hired by U.S. Energy and the Coalition found high levels of zinc and cadmium in ditch water that flows from the mining company’s land into the creek. Glazer says the hydrologists attribute most of the spike to the iron fen and runoff from naturally occurring minerals on Mt. Emmons. Glazer suspects some of the contamination into Coal Creek is being caused by groundwater, which could be contaminated by naturally occurring minerals or historic mine workings at the Keystone Mine. “It needs further investigation,” he says. Poponi agrees that more study is needed. “The geologic association between the historic mine workings and the fen is poorly understood and CCWC will continue to investigate this as we can to refine our understanding of contaminant sources along this stretch of Coal Creek,” he says.Glazer says the Coalition may seek to have groundwater studies included as a condition in the industrial discharge permit for U.S. Energy’s Lucky Jack water treatment plant. “But we haven’t been very successful in getting the state to address some of these concerns,” he says. In November 2005, the industrial discharge permit for the wastewater treatment facility on Mt. Emmons, now known as the Lucky Jack Water Treatment Plant, expired. The permit allows the plant to continue operations and specifies water quality standards the plant must follow before discharging treated water back into the natural drainage system. 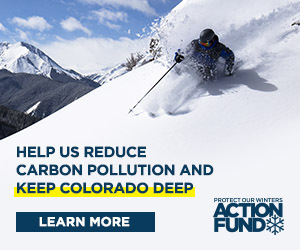 The permit has been the subject of several delays as the state has considered comments made by the town of Crested Butte, High Country Citizens’ Alliance and the Coal Creek Watershed Coalition.